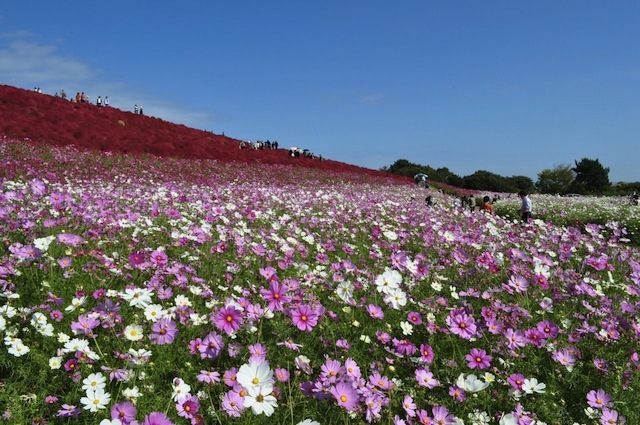 Hitachi Seaside Park is a vast public park located in Hitachinaka city, Ibaraki prefecture. The park has a lot of attractions, such as an athletic playground, a disc golf course, and a BMX course. 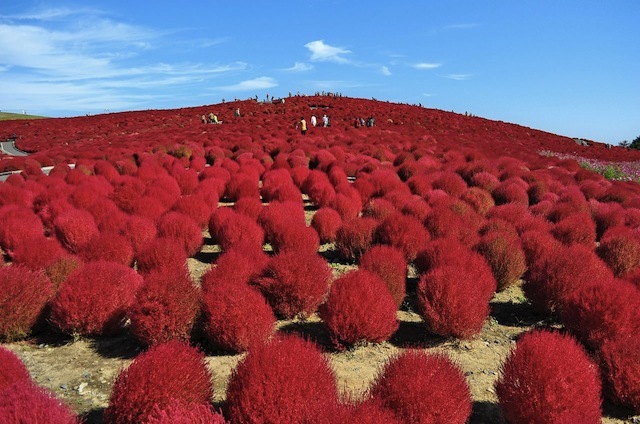 Especially in this autumn season, the leaves of Kochia transform into their distinctive, beautiful vivid red, creating a feast visitors’ eyes. It looks as if a vast red carpet has been spread across many acres! In Japanese, Kochia is also called “houki gusa”, meaning broom grass. As you can imagine, this plant was used as a material for constructing brooms in the old days. contrast to the red Kochia of autumn. The gradation from the red of Kochia to the pink of these Cosmos is outstanding. 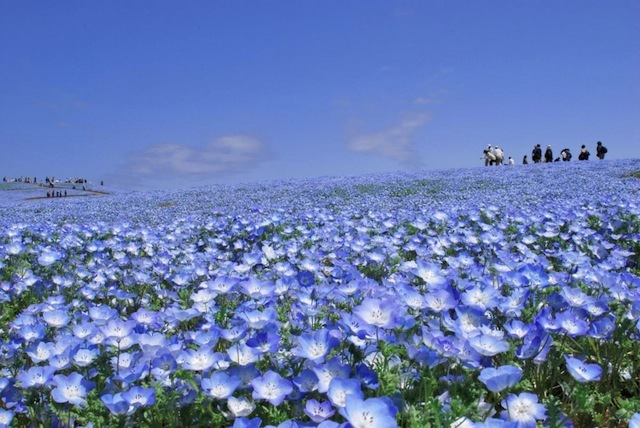 There are more magnificent pictures of colored Kochia on the Hitachi Seaside Park website>> Click. And, they are also updating the current coloring situation here >> Click. So, you’d better investigate it before your visit 🙂 The entire month of of October is the best time for experiencing the colors of Kochia, and the entrance fees are quite reasonable –> adult ¥410 (U.S.$3.7) / Child ¥80 (U.S.$0.7)!